One of my favorite parts about living in Raleigh is how close we are to both the coast and the mountains. 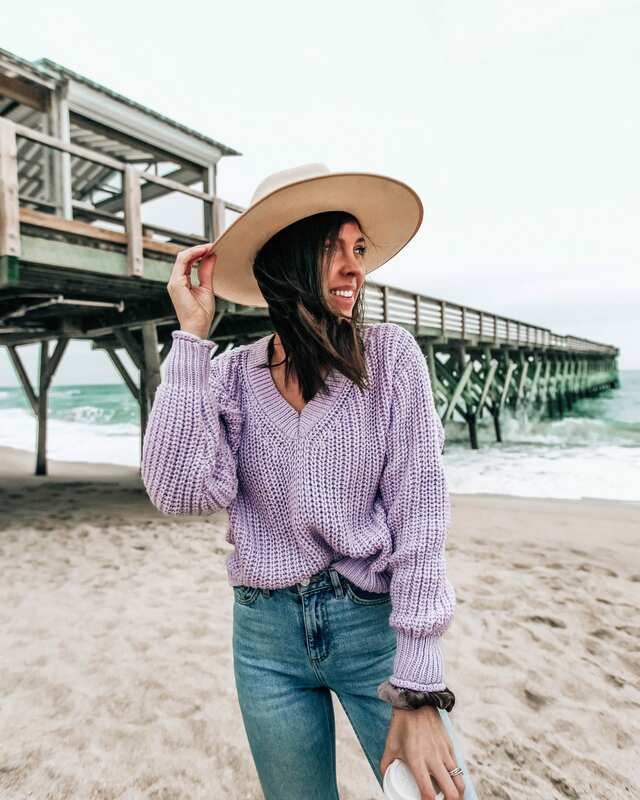 The quickest beach for us to get to is Wrightsville Beach so TJ and I try and make a weekend trip out there whenever we get a chance. 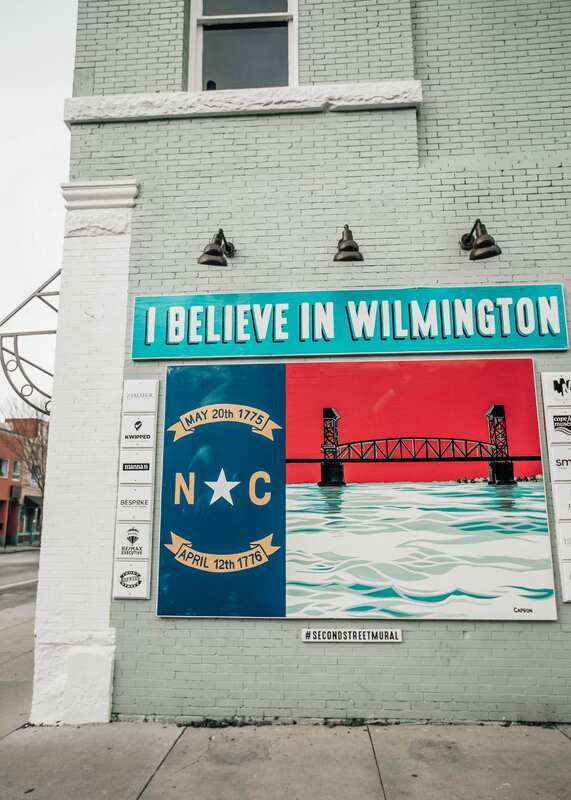 I’ve also been to a couple of my friends’ bachelorette weekends there over the past years but have never spent a lot of time exploring the actual city of Wilmington until this past weekend. 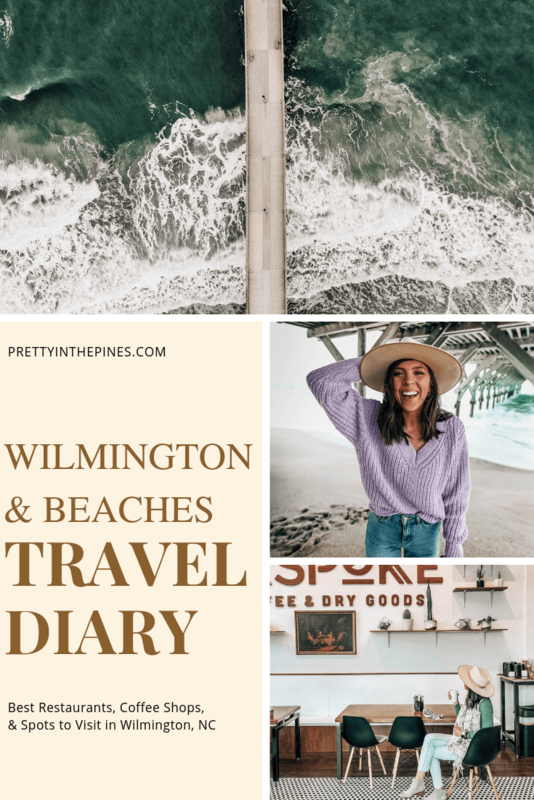 TJ hadn’t spent much time exploring the city either so we were excited to pack our bags for a weekend getaway this past weekend and experience a little bit of Wilmington and it’s island beaches! 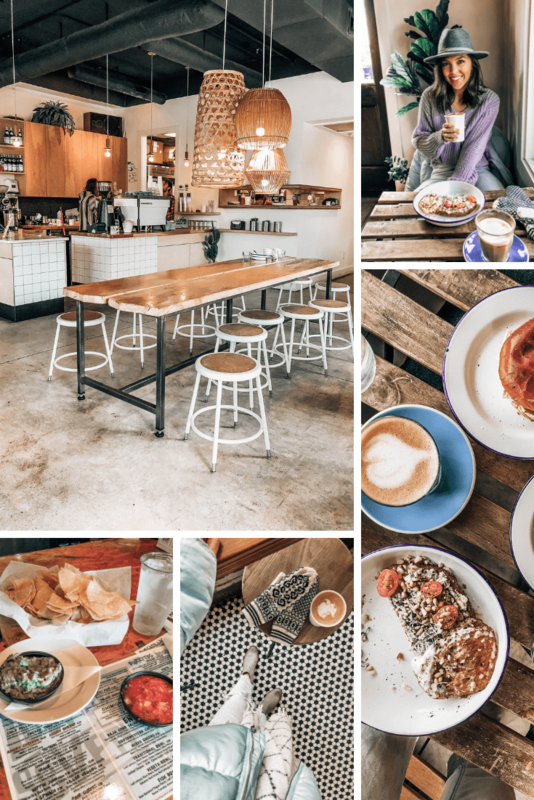 I’ll share a quick recap of how we spent our time but I’ll also share a list of the best places to eat and shop, including a few musts for next time. 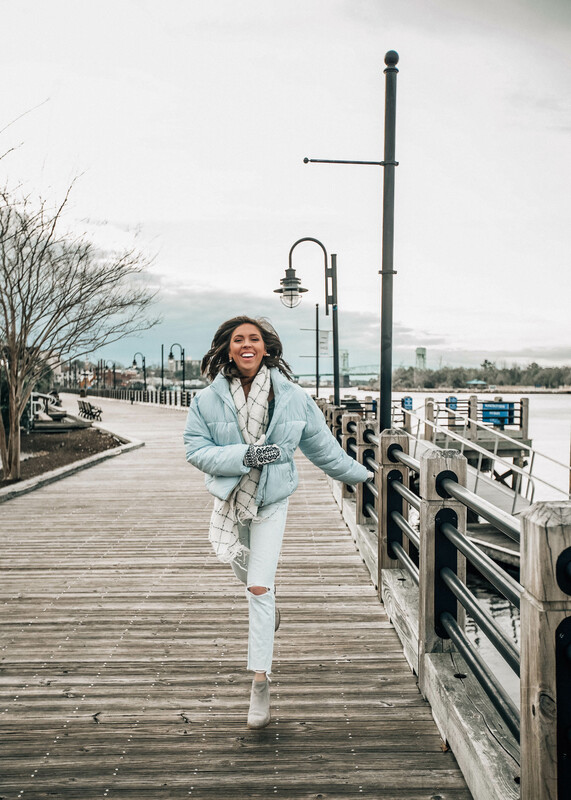 It wasn’t too long ago that Wilmington was affected by Hurricane Florence but everything is now back in business and open! It is exciting to see the area recovering and bouncing back after such devastating flooding and it’s so important to support these local businesses since so many employees in that area rely on tourism as a large part of their business. 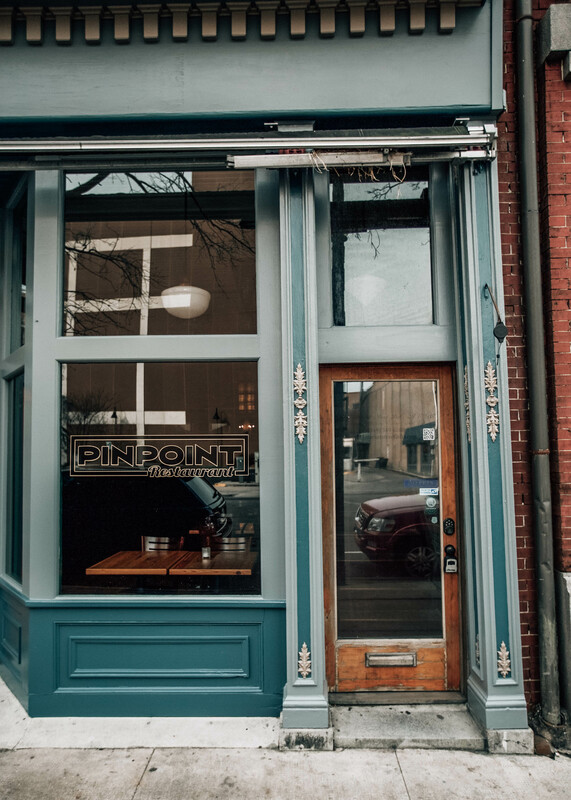 We arrived to our hotel, Hotel Ballast (located right on the riverfront) on Friday night and then had a dinner reservation at PinPoint Restaurant. 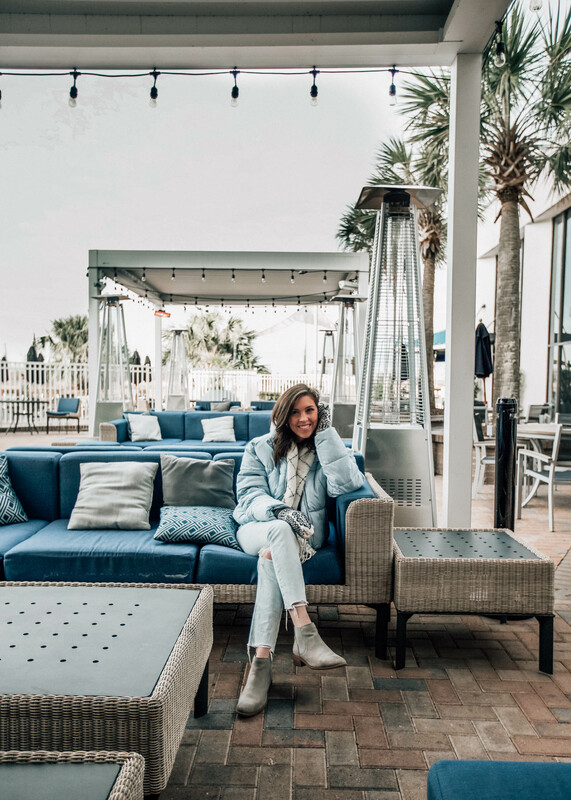 Since we had a little bit of time before dinner, we stopped into the hotel’s riverfront bar, Board and Barrel, where you can find live music on Friday’s from 5-8pm. 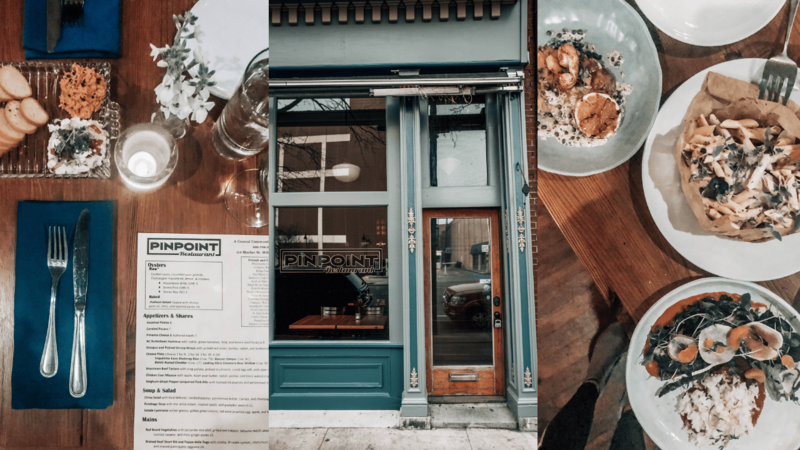 We headed to PinPoint for dinner and this was probably one of my favorite dining experiences ever. TJ and I tried several things on the menu and each dish was absolutely incredible. The baked oysters, pimento cheese, butterbean hummus, seasonal fish, everything! 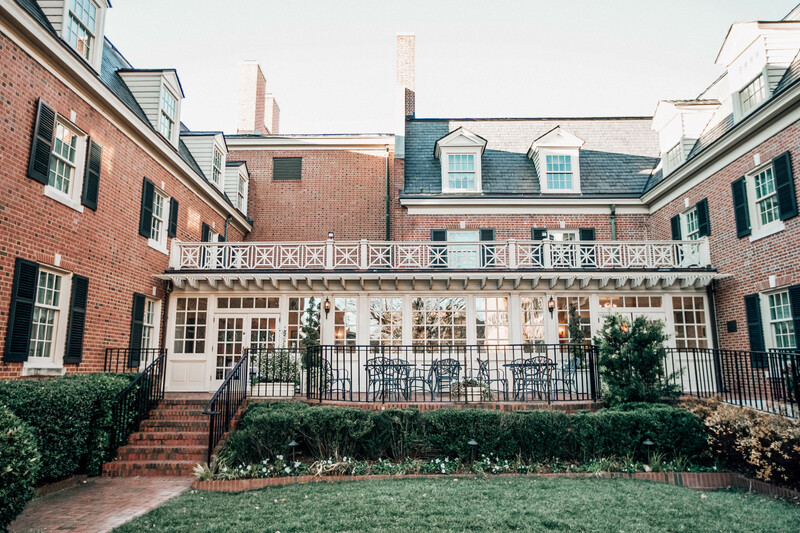 This restaurant serves southern and fresh seafood and the menu changes daily featuring a lot of local Wilmington farmers and fishermen. 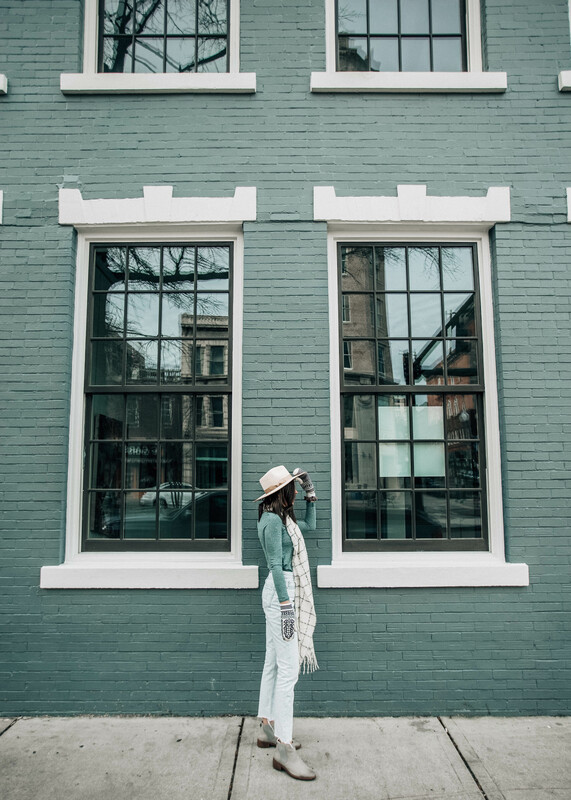 The next morning we woke up early to do some exploring downtown before heading closer to Wrightsville Beach! I loved that our hotel was located right downtown on the river and the city was very walkable! 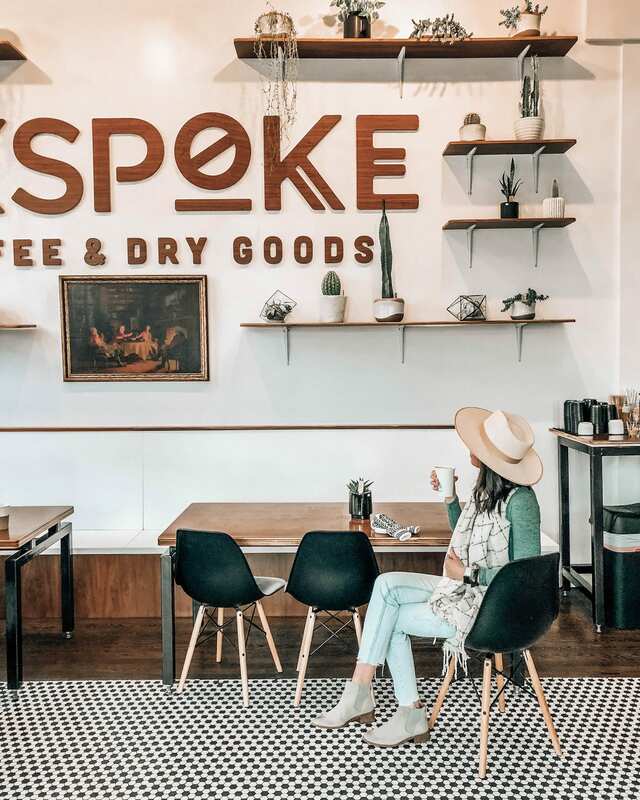 We stopped by Bespoke Coffee first thing in the morning to get some coffee then made our way towards Wrightsville Beach with a breakfast stop at Drift (amazing avocado toast, by the way). 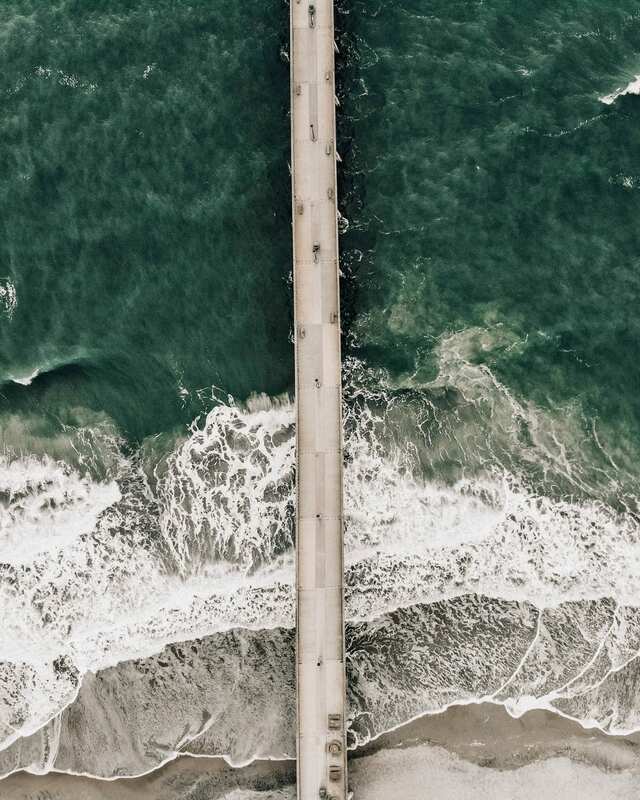 After eating at Drift, we headed to Wrightsville Beach. The other two closest beaches to Wilmington are Kure and Carolina Beach but we spent most of our time this trip at Wrightsville. We walked down the beach for a bit and I was surprised to see so many people snuggled up on blankets having picnics in January! The beach is so different this time of year but I love it. After spending some time walking down the beach, we stopped in Tower 7 for tacos and chips/salsa. 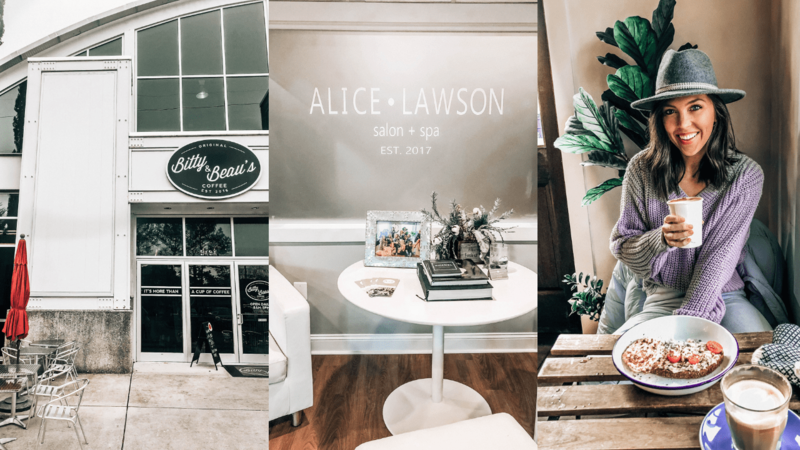 We had a massage/facial scheduled for 2:00pm at Alice Lawson Salon and Spa, a cute little spa located right on the beach (a few shops down from Tower 7). I had a deep tissue massage while listening to ocean sounds and I felt SO good afterwards. TJ had his first facial (hehe) and loved it too. After our afternoon at the spa, we stopped by The Forum in Wilmington and did some shopping at my friend’s boutique, Zia Boutique. We arrived back in downtown just in time for our food tour with Taste Carolina! This was our first food tour we’d ever done and we loved it. We were able to experience 7 different restaurants within 3-3.5 hours including a chocolate and wine shop (Mon Ame Chocolate & Wine Bar or M.A.C. Wine Bar), a gourmet cupcake shop (The Peppered Cupcake), a deli (On a Roll), a bottle shop (Bombers Beverage Company), a craft-beer infused modern mexican restaurant (Beer Barrio), a beautiful piano bar (Tails Piano Bar), and a newer restaurant where we ate shrimp & grit tacos (RumCow). I’d have to say that my favorites of the tour were definitely Beer Barrio and RumCow. Beer Barrio had some of the best salsa (and margaritas) I’ve tasted in my life and apparently their salsa making process takes 3 days. Highly recommend! We ended the evening at Tails Piano Bar which looks like something right out of The Great Gatsby. The next morning we stopped by Bitty and Beau’s Coffee which came highly recommended to me before our trip. 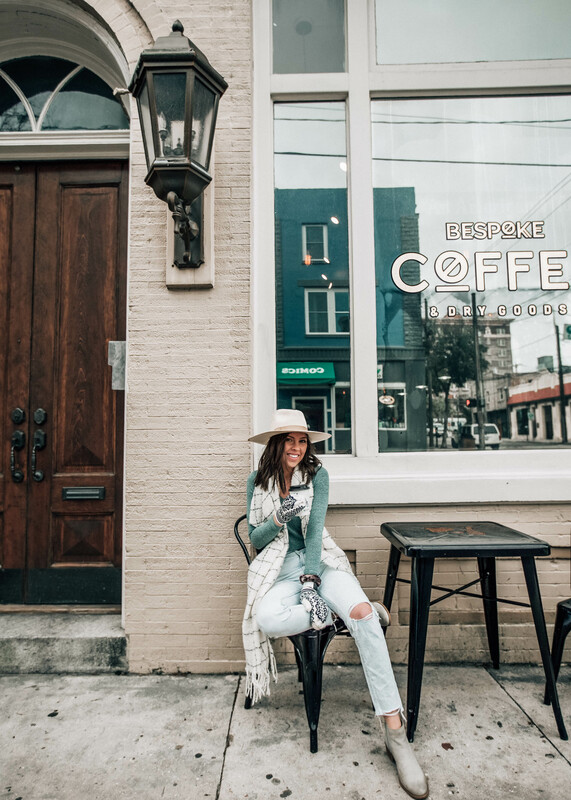 The story behind this coffee shop is very inspiring – you’ll have to check it out here. We met up with some of our friends who live in Wimington for brunch at Boca Bay where you can find a huge breakfast buffet and omelet bar. Other brunch options for next time definitely include The Basics and RX. 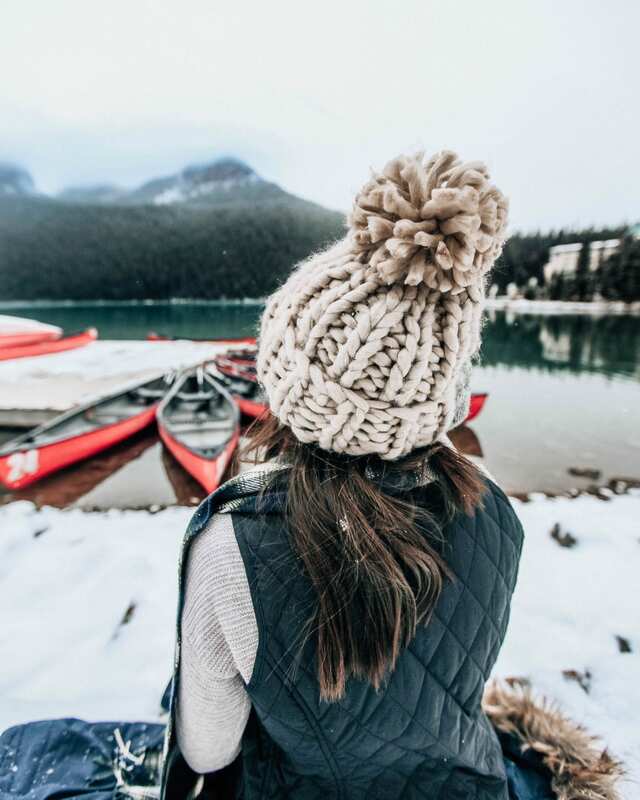 We had the best weekend and can’t wait to head back in the spring or summer! You can’t beat a 2-ish hour drive to the coast and some fresh seafood for a weekend adventure. 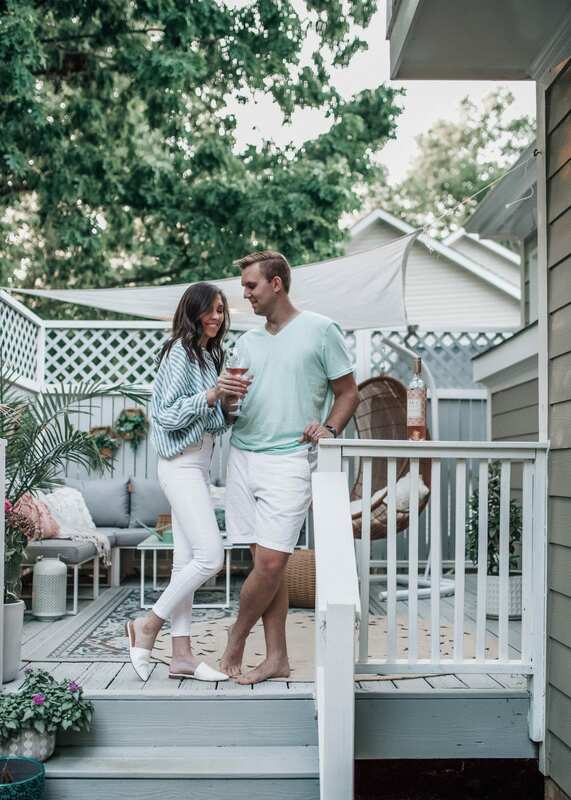 This post is in partnership with Wilmington and Beaches CVB. 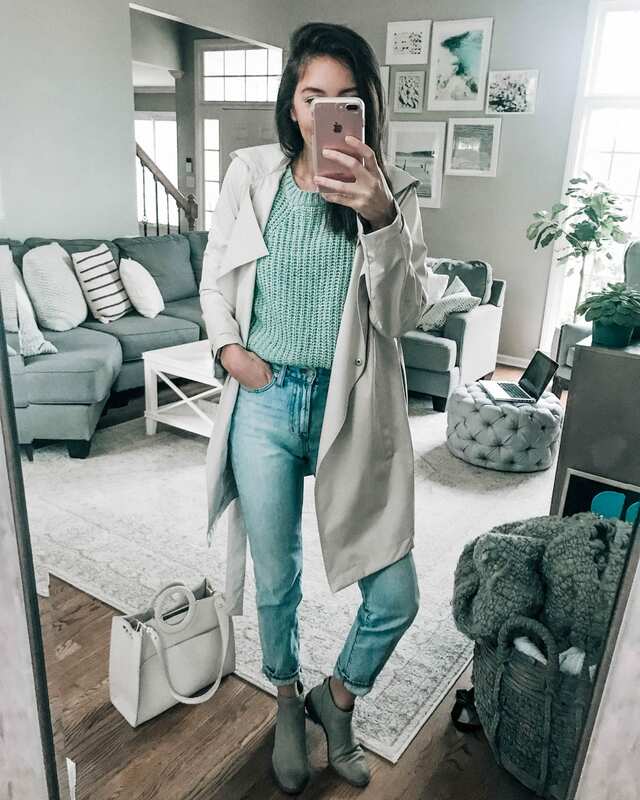 Love the pics and blog! I was a kid the last time I was in Wilmington and remember visiting the battleship with my family. I didn’t realize the city of Wilmington was so interesting and quaint (like a Charleston or Savannah). I definitely will visit Wilmington and Wrightsville Beach! Thanks!! 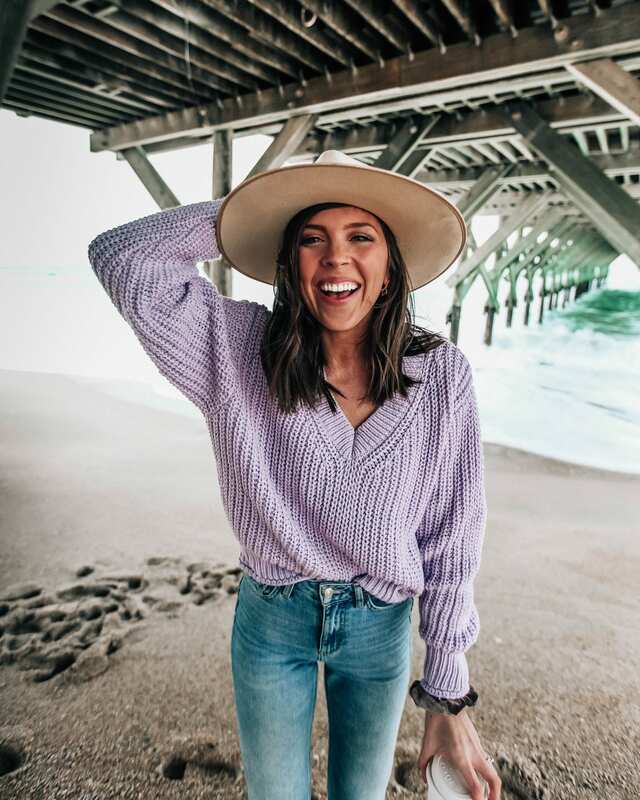 I love the beach during the winter! My family always try to make a trip to Carolina Beach some time in the offseason because it is so peaceful. Glad you had a great trip!